After years of flunking, the American housing market finally merits a B+ grade. Good news abounds: In August, new home sales are at their highest level since 2008. Homebuilder confidence is back to its best level in a decade and even mortgage applications are climbing again. 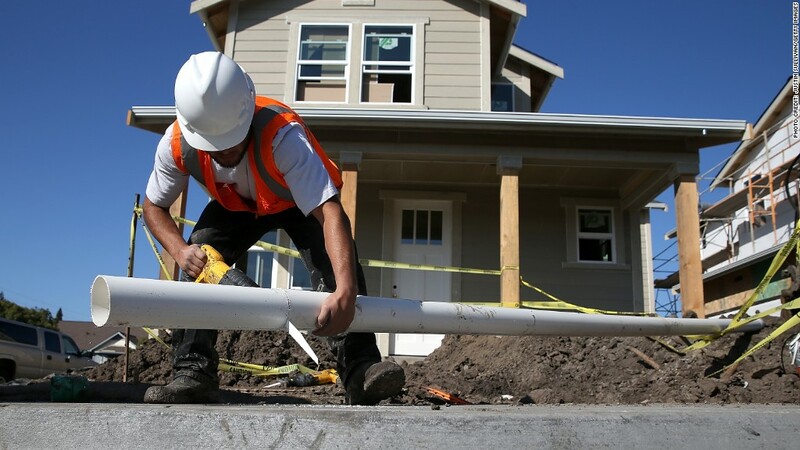 And data released Tuesday shows construction crews are starting on homes at the fastest pace since the recession. Put all that together and the housing market is finally starting to be a real boost to the U.S. economy -- and stock market -- instead of a drag. But today's real estate market is a very different place than before the recession. 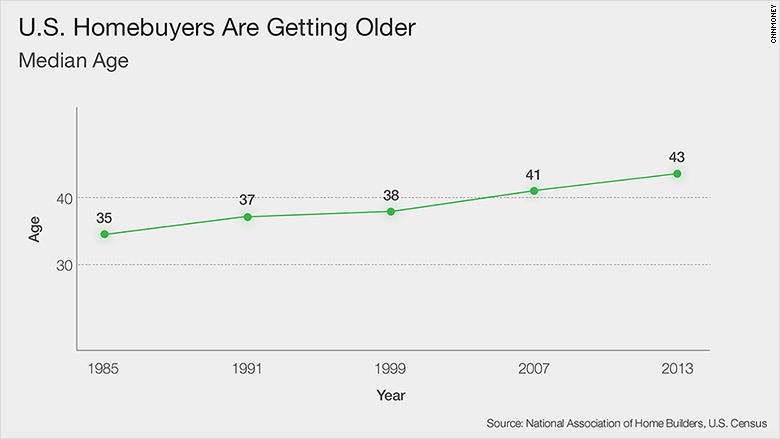 American home buyers are getting older and homes are getting bigger. The median age of a homebuyer in 1985 was 35. When the housing boom was nearing its peak in 2005, the median homebuyer's age was 39. Now it's 43, according to U.S. Census data. "We consistently tell that story of people delaying homeownership," says Skylar Olsen, senior economist at Zillow. "People are delaying things that pre-date homeownership -- like getting married later and having children later." Homebuilders are catering to more middle aged buyers by building larger homes. Since 2000, the typical American home for sale had about 1,800 square feet. That's remained fairly steady over time. But new homes that are just being built typically have 2,200 square feet, according to an analysis by the National Association of Home Builders. Potential homebuyers say they want a place that is at least that large. Large homes often translate to more money for builders. No wonder the stock market funds that track homebuilders are soaring this year. The iShares U.S. Home Construction ETF (ITB), SPDR S&P Homebuilders ETF (XHB) and iShares Residential Real Estate Capped ETF (REZ) are all up about 6% or more in 2015. That's much better than the overall stock market, which is negative for the year. The other common explanation for this big shift in American real estate is that young people have too much debt to buy homes, especially from student loans. But economists at Zillow took a look at the probability that someone would buy a home if they have zero debt all the way up to $50,000 in student loans. They found that higher student debt had almost no impact on the decision to buy a home. Banks were very willing to lend to young people who had bachelor's degree or higher, a recognition that these people would be likely to earn good salaries and pay off their loans. The one exception was people who earned only an associate's degree. There was a 75% chance of buying a home if they had no student debt. But that fell to less than 60% chance of purchasing property if they had $50,000 in loans. It's an economic reality that workers with at least a bachelor's degree now earn about $65,000 on average a year, compared to less than $50,000 a year for those with only an associate's degree.